Today I'm gonna talk about makeup remover. Few weeks ago, I went to Watson to buy my makeup remover as my previous makeup remover about to finish. And my previous makeup remover is from Cyber Color at SASA which cost $25. I'm always very fussy when comes to makeup remover. Some makeup remover tends to get break-out on the face which I'm so so scared. But so far, I never experience it before when using makeup remover. 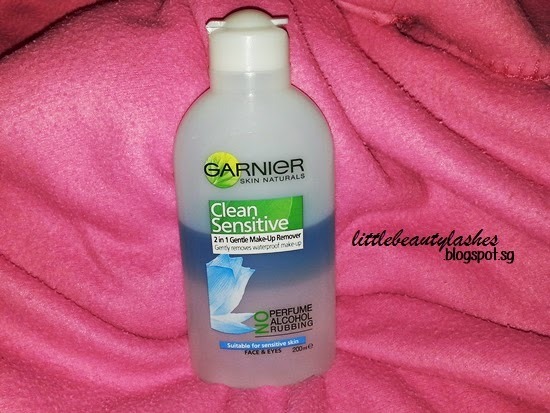 Once I tried this Garnier makeup remover, I started to like it a lot! Especially after I finish removes all my makeup on my face, I feel my face very very smooth. This is Fragrance-Free and Alcohol-Free. And it contains liquid and oil layer. As you can see there's 2 tone of it. You have to shake the bottle to let it mix the liquid and oil together before you soak it on the cotton pad to remove all your makeup. This is how it look after you shake the bottle. The price for this Garnier Makeup Remover : $13.10. Recommended for normal to sensitive skin. That's the end of my post for tonight. Stay tune for my next post. i currently use a lancome one, thats brilliant too. Will be looking forward to try lancome too. I've never heard of using Vaseline to remove waterproof mascara. That's so interesting! I was looking at this the other day in the store but decided I wasn't sure of it but now I think I'll try it! Thanks for that! Update me when you already try it :) I would love to know your experience about it too. Hi Lovely! 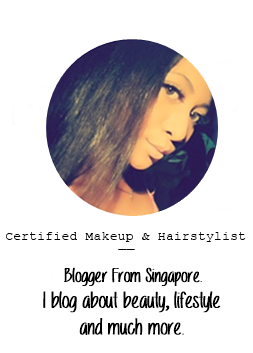 I love your awesome blog. Keep it up! Stay in Touch & Have a wonderful day!